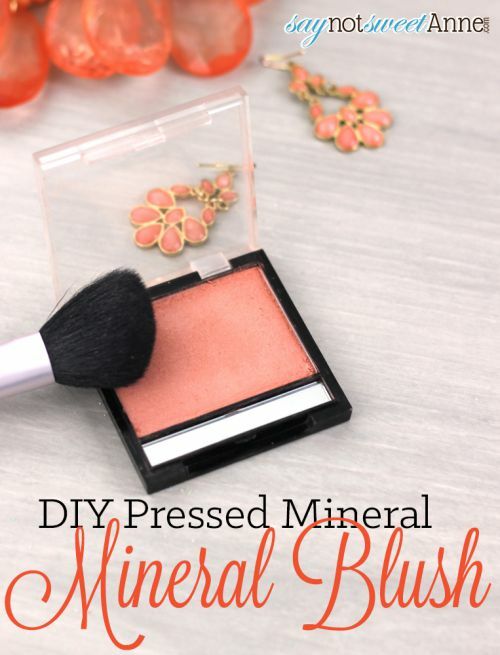 DIY Blush - Create a 100% mineral blush with no additives! Alright, I know. I’ve been going maybe a little overboard with all my makeup/DIY beauty products lately. I mean, it started with DIY Moisturizer, DIY Mineral Makeup, and then Eyeshadow, and then Nail Polish. But here’s the thing: after I bought the supplies for the Makeup, the rest was just gravy. I mean, I don’t have to buy anything new, jut combine them in different ways how can I say no to that? 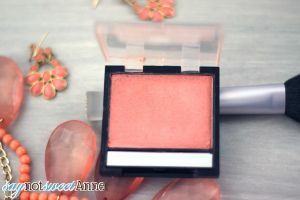 The ratio of Mineral Base to color is going to depend on how intense you want the blush to be. For something sheer, start with 4 parts base and 1 part color. For something more intense you might go all the way to 2 parts base 3 parts color. I did mine in 1/2 tsp sizes. That ended up with enough powder for my compact and a little extra that I keep in a sealed container. 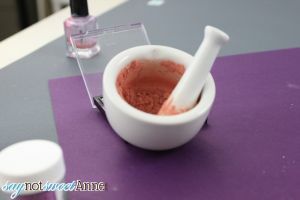 To start, add 2 tsp of base and 1/2 tbsp pigment (if combining colors, make sure to note how much of each you are using. 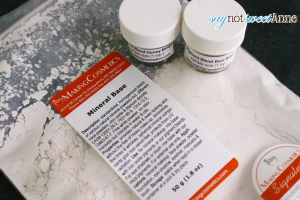 If you want, you may add mica at this step to give a shimmer to the finished blush) to your mixture and use the mortar and pestle to blend and until the color looks even. The better you mix it, the more even the color will be. Test the color on your cheekbones. Be sure to go outside and look in the sunlight. Sometimes indoor lights change the color. 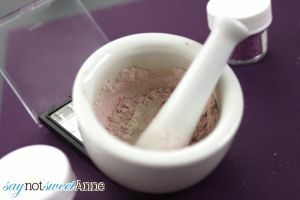 Once you’ve got your powder mixed, you can put it in a loose powder pot or keep going and make it into a pressed powder. To make it a pressed powder, add a few drops of rubbing alcohol to the mix. Do this until the powder cakes together, but is not wet. Put your moist powder into your compact, you might have extra. Save that for next time. 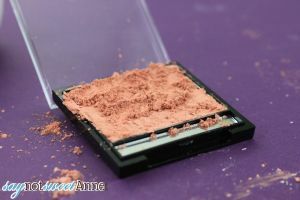 Use a flat utensil (I used a scrap of laminate counter top hubby cut down) to press the powder into the compact. Clean up the access with a moist brush and let the powder dry. Done! Now, like all compacts, this caked powder might crack or beak if it is dropped or jarred. That’s okay. You can add more alcohol and re-press it! Even if I don’t make my own, I can use the last step to repair cracked blush and powder. Thanks so much for sharing this! You make it look so easy! And I love that color! Wow…you just made this all sound so easy! I am going to send your blog information to one of my daughters and let her tell me what she thinks. She is the one who is really into the all natural and my go to advisor on these issues! But, you have me convinced. Thank you for sharing.